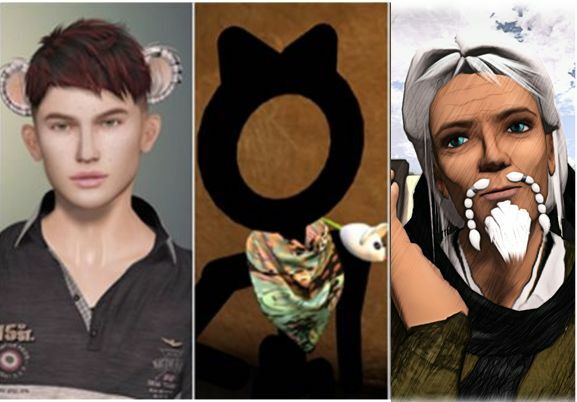 On Wednesday, November 14th, Linden Lab announced the official release of Animesh, with the promotion of the Animesh viewer as the de facto release viewer. Animesh has been in development for about a year, and like Bento, has been a collaborative effort between Linden Lab and Second Life content creators. Essentially, it allows the avatar skeleton to be applied to any suitable rigged mesh object, and then used to animate the object, much as we see today with mesh avatars. This opens up a whole range of opportunities for content creators and animators to provide things like independently moveable pets / creatures, and animated scenery features. One of the potential advantages with Animesh is that it might help eliminate the need to “alpha flipping” across multiple versions of a mesh creature in order to simulate its movement. 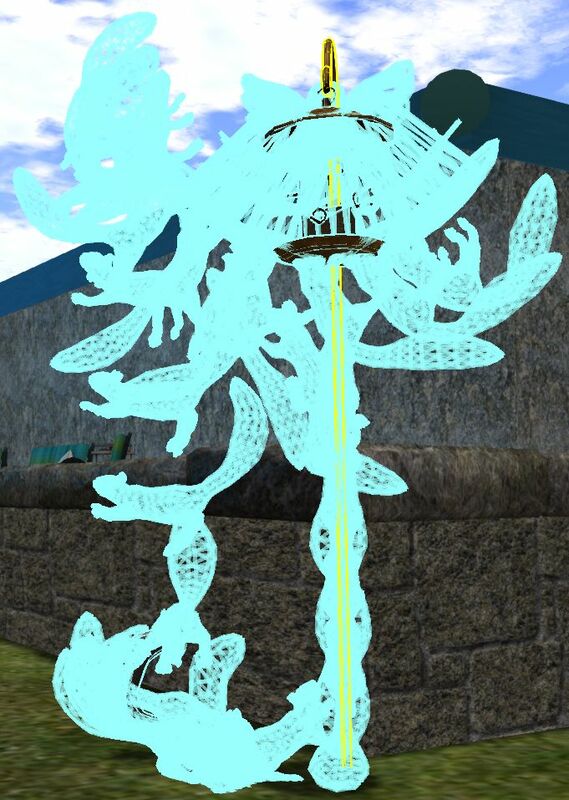 To explain: if you right-click and edit animated mesh creatures in SL, you’ll see that they can appear to have multiple parts, most of which are invisible. When they are active, a script renders then sequentially, causing each of the models to be rendered in turn before hiding it again using an alpha mask. Like a set of flip book drawings, this gives the illusion of movement: be it a sheep or horse or cow raising and lowering its head to appear as if it is grazing, or a rabbit hopping back and forth over the ground, or simply mimic the movement of legs as an animal wanders along a pre-determined path. As long as the script is cycling the motion is repeated. The problem with alpha-flipping is that is can be render intensive, impacting viewer performance, so the hope is – and as well as bringing other benefits – Animesh will, over time, hopefully encourage creators to switch away from alpha flipping methods of animation. Animesh also includes the ability to attach a single object to an avatar (or two, if you are Premium) which can then behave independently of the avatar. Quite how this will be used remains to be seen – but again, one obvious option is more render-efficient pets, or perhaps an animated item of clothing that simulates being blown by the breeze, and so on. Another potential is with things like avatar tails – while Bento also allows for items like these, the use of an Animesh with its own skeleton could avoid potential conflicts when trying to use two Bento items that use the same set of bones in the avatar, and so conflict with one another. There are some initial limitations with this release of Animesh. As a couple of quick examples: when it comes to pets, for example, because rigged mesh is used, it’s not possible to simply put a pet on the ground after carrying by using Drop so it can run around – you have to go via Detach and inventory. 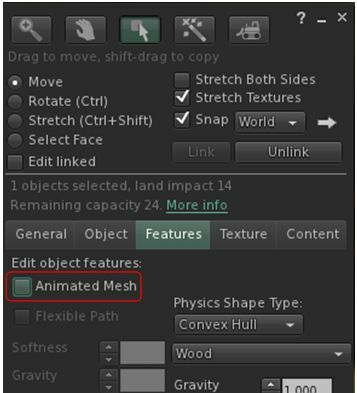 Also, there is no avatar shape associated with Animesh at present, which may limit its adoption for use with NPCs, as there is no real ability to custom body shape and size (the addition of a body shape to Animesh, and the ability to modify it via the sliders is being considered for a future Animesh project). Again, Animesh isn’t just for content creators: it has been designed such that just about any Rigged mesh can be converted to Animesh directly from the Build / Edit floater. Do be aware, however that simply converting an object will not cause it to start animating – you’ll obviously need suitable animations and a script to run them. Quite where Animesh will go will be known in time – even at the Content Creation User Group meetings some fairly imaginative use-cases were being pondered by some (using Animesh in vehicles for animating wheels, for example). To try to help users find Animesh content, the Lab note they’ve created a new Marketplace category – Animated Objects – but going on a brief parse through what’s there already, this may need some form of curation if it is to be for Animesh – several of the items I notes didn’t appear to be Animesh – so be sure to read descriptions carefully and perhaps check in-world as good start to appear. As with all things, Animesh can be subject to bug and issues, and Whirly Fizzle has created a JIRA filter for Animesh for easy tracking of known issues. If you do hit upon a bug or issue, do be sure to raise a Jira report and label it for [Animesh]. Selected questions from the Town Hall meeting forum thread (now closed) will be put to Grumpity, Patch and Oz during the session, and there may be an opportunity to ask questions from the audience, if time permits. All things being equal, I hope to have a summary of the session up after the event, which will be similar in nature to my summaries of 2018 Town Hall meeting – see here for the September Town Hall with Ebbe, as an example. On Tuesday, November 13th, the SLS (Main) channel was updated with server release 18#18.11.01.521329, previously deployed to the Magnum RC, and comprising a fix for Animesh land impact calculations – see below – and also internal logging fixes. On Wednesday, November 14th, 2018, the three main RC channels should be updated with the same server update, 18#18.11.09.521593, comprising internal fixes. There is no planned simulator update for EEP. The Land Impact update deployed to the SLS channel this week (and to the RC channels in week #45) is to correct an error in the Animesh code. In short, if an Animesh object has a conventional prim as its root, the required 15 LI for the Animesh skeleton is not applied. This 15 LI is an aggregate value for Animesh arrived at during testing Animesh performance across a range of systems. It has also been subject to some alarmist blog posts about unexpected prim returns, but given Animesh products are not generally available as yet, this is unlikely. The Spotykach Maintenance RC viewer updated to version 5.1.10.521569. Love Me Render RC viewer updated to version 5.1.10.521635. Animesh RC viewer, version 6.0.0.520636, dated October 18th. Estate Access Management (EAM) RC viewer, version 5.2.0.520057, dated September 28th. BugSplat RC viewer, version 5.1.9.519462, dated September 10th. This viewer is functionally identical to the current release viewer, but uses BugSplat for crash reporting, rather than the Lab’s own Breakpad based crash reporting tools. Environmental Enhancement Project (EEP) viewer, version 5.1.10.521312, dated November 2nd. Bakes on Mesh project viewer, version 5.1.10.520711, dated October 29th. 360 snapshot viewer, version 5.1.6.515934, dated June 6th. Linux Spur viewer, version 5.0.9.329906, dated November 17, 2017 and promoted to release status 29th November, 2017 – offered pending a Linux version of the Alex Ivy viewer code. There is one thing I’d like to mention, and that today is the anniversary of a very special moment in Second Life history. November 13th is V2 Day. Nine years ago we released version 2 of the viewer, which many people mark as the beginning of the end of Second Life. I know the intentions of V2 were good … the old SL viewer UI was a crazy mess of things patched on by engineers with no overall design. But personally I think they made the mistake of trying to meet a schedule date and not waiting until it was right. And again, as Simon notes, at the end of the day and despite all the pronouncements of Viewer 2.0 heralding the end of SL, here we are, nine years later, still SL-ing! There are in-world IMs / notices, doing the rounds pointing to a fake Firestorm website. for details, please refer to my blog post here.